Nothing beats the convenience and effectiveness of a good vacuum cleaner when it comes to cleaning the floors and carpets of your home. However, if you find that the traditional upright vacuum cleaners are bit are a bit too bulky or too cumbersome for your liking, then maybe its time for you to switch to canister vacuums. They allow for a much greater degree of maneuverability, which in turn allows you to clean those hard-to-reach places without straining your body. If this sounds appealing to you, then read on for Wise Bread's list of the top 5 canister vacuum cleaners worth your money. A canister vacuums is a special type of vacuum cleaner that's comprised of a small rectangular body that houses the suction motor and filtering system and a long hose that's connected to the canister body through which the suction is administered. While its compact design gives you the flexibility to clean without needing to move the device, most canister vacuums are also equipped with wheels that can make moving them a breeze when you do. These vacuums are especially ideal for cleaning staircases and picking up pet hair, and the newest models are quite effective at picking up dirt from carpets and rugs as well. Canister vacuums come in both bagged and bagless varieties. The most ideal canister vacuums also come with a HEPA-certified filtration system, which guarantees that the air that's pushed out of the vacuum is completely allergen-free and dust-free. Coming from a brand that's known for making innovative and effective vacuum cleaners, it should be no surprise to hear that the Dyson DC39 multi-floor, bagless canister vacuum is a Consumer Search top pick that has been lauded for its incredible versatility and efficiency. Thanks to its exclusive Radial Root Cyclone technology, the DC39 can generate an astonishing amount of suction that picks up dirt and hair from both bare and carpeted surfaces with great ease and without any loss in suction over time. The DC39 also moves using a unique ball apparatus that not only makes it even easier to steer and turn the vacuum, but also ensures an exceptionally quiet performance since the motor is stored in the ball as well. A Consumer Reports top pick, the LG Kompressor LcV900B bagless canister vacuum combines a contemporary design with several cutting-edge features that leaves you with an extremely comprehensive cleaning machine. Its most notable feature is easily its Kompressor dust compression system, which uses a wiper blade within its bagless bin to compress the collected dust and dirt to allow for an even greater storage capacity and an easier time emptying the bin. 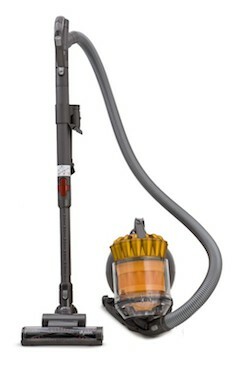 Along with a large collection of on-board cleaning tools, the LcV900B also comes with an enhanced motor and suction system along with manual carpet-height adjustment feature that allows you to precisely match the brush to the height of the surface for the most optimal cleaning performance. 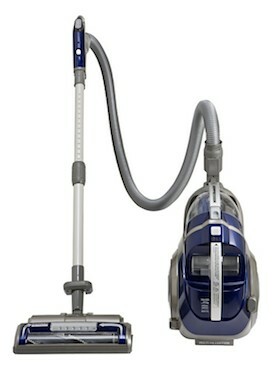 It may not be the lightest canister vacuum, but according to many users, it's definitely one of the quietest. Named a Consumer Reports Best Buy, the Panasonic MC-CG937 is a excellent bagged canister vacuum that provides a remarkable amount of power and features in its compact package. This vacuum is equipped with a powerful 12 amp motor that provides enough suction for cleaning both bare floors and carpets. It also comes with Panasonic's OptiFlow technology, which allows the vacuum to maintain a consistent airflow through the dust bag even as it fills up. The MC-CG937 also comes with a wide variety of on-board tools for some extra cleaning help, including a quick-release aluminum telescopic wand for above floor cleaning, a bare floor brush, a dusting and upholstery brush, a crevice tool, and a pet turbine mini-brush. The Kenmore Progressive 21714 is another outstanding choice for a bagged canister vacuum that has received a top recommendation from both Consumer Reports and Consumer Search for its optimal cleaning capabilities. Although it is fully capable of cleaning multiple surfaces thoroughly, the 21714 has received the highest marks for its ability to efficiently pick up pet hair, and it even comes with special pet hair attachments to make that task even easier. It also comes with a slew of other helpful on-board tools, including a telescopic wand equipped with a special LED light, to make it the all-in-one machine for cleaning every little corner of your home. 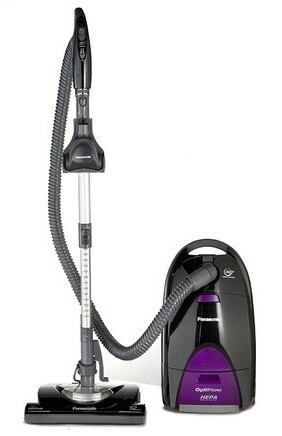 Its unique swiveling design makes moving the vacuum around furniture and hallways quite effortless as well. Both a top-rated Amazon Best Seller and a Consumer Search top pick, the Eureka 3670G Mighty Mite bagged canister vacuum has proven itself to be one of the best low-priced vacuums on the market. Despite its incredibly small size, this vacuum excels are cleaning bare floors and pet hairs, and it's adequate at cleaning carpets as well. It also comes with an exclusive blower port feature that allows it to blow away debris on floors. The 3670G doesn't have a HEPA-certified filtration system, but its dust bags do provide triple filtration that prevents dust and dirt particles from going back into the air. While bagless vacuums are known for their long-lasting durability, many users have said that the 3670G is extremely durable and capable of enduring many years of use without any major problems, which makes it even more incredible value. And those are our recommendations for the best canister vacuums. As always, be sure to check out the Wise Bread Buying Calendar to learn when and how to buy just about anything! The LG Kompressor LcV900B is not available at Amazon for couple of months now. 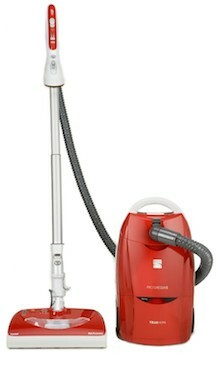 I would recommend Miele S2121 Olympus canister vacuum as it's one of the best sellers item in major online stores.